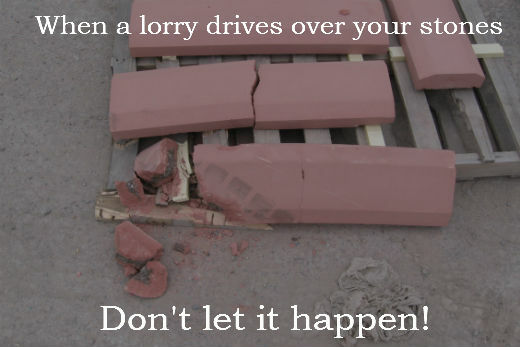 The careful storing and handling of cast stone is vital to prevent damage. It only takes a miss-placed foot to take the corner off a stone and look what happens when a vehicle wheel goes the wrong way! 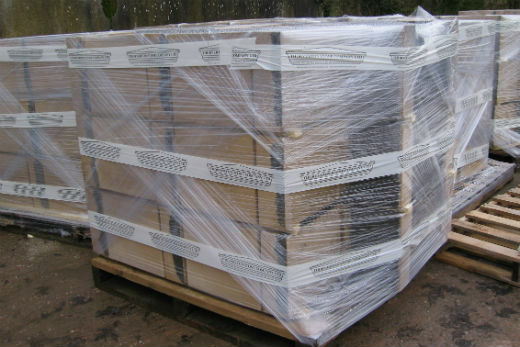 It is really important to make sure that pallets of stone are stored on level ground, away from busy areas of the site and that plenty of packaging is kept between the stones. Care should also be used when handling the stone during the building process. Always adhere to HSE lifting guidance and be sure you don't knock the ends or corners when fitting stones such as heads or cills into pre-build openings.